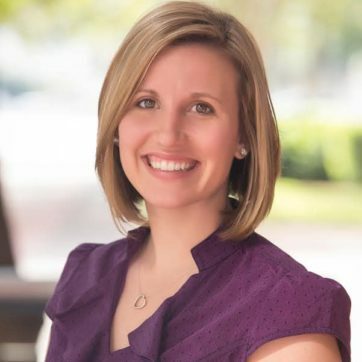 Katie Drees, CPA is one of those local girl makes good stories here in Central Florida. Katie joined Grennan Fender as an undergraduate intern of the University of Central Florida in 2007. In 2009, upon graduation with a BS degree in Accounting, she became a full-time associate of the firm where she spent three years in the Tax Department. Then in 2012, the firm made a strategic decision to promote a new service line. The outsource Accounting department was born with Katie as its sole employee and leader. Today, Katie leads a department of 15 people that generates over 25% of firm revenues. With Florida’s growing economy, more small businesses are looking for economy and efficiency in their accounting departments as well as peace of mind. Katie’s relentless pursuit of excellence is providing that answer for Florida businesses while helping to position one of the firm’s primary differentiators in the marketplace. While growing the Grennan Fender Clarity Accounting division, Katie completed her MBA at St. Leo’s University in Tampa in October of 2014 and attained her CPA designation in 2016. Today, she is a member of the Grennan Fender Leadership team. Industries where she and her team specialize include Retail and Hospitality, Manufacturing, Distribution, Construction, Healthcare, Services and Technology. In the past, Katie has been an active participant in the Junior League of Orlando as well as supporting the Salvation Army in numerous charity events. Avid sports fans, she and her husband David also spend free time traveling to Mexico and South America, Africa and Hawaii. They and their two dogs live in Orlando, Florida. Katie has served in volunteer capacities for the Salvation Army in Orlando as well has participated actively in the Junior League of Orlando.